Kristen Ashley is the best romance writer of this generation. Her books have real, captivating plots with multidimensional characters. 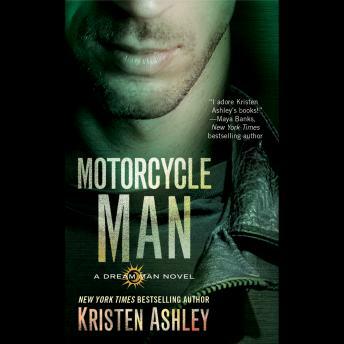 "Mystery Man" is one of my favorite romance books of all time, and "Motorcycle Man" follows suit. Also highly recommend "The Gamble". Narration is not A+, but it's not distracting either. Still worth a listen. I actually love how this narrator pulled off Mystery Man... but Tack's voice in "Motorcycle Man" leaves something to be desired. Kristen Ashley is a writing genius! All of her books are good. This whole series was great. Tack has been my favorite character through out the other books so I was excited to read this one. The narrator was not good with male voices... At all, and I am saying nicely. She ruined the Law Man book for me. It would have been much smarter to use a second male narrator for these books. Yikes.